These two legendary Cuban cousins; The flute player Orlando Maraca Valle and the pianist Ramon Valle are among the most representative of their generation in Cuba! They are continuously exploring new ways and sounds in jazz and latin jazz music, from Cuba’s classical composers to revisited jazz standards, showing off their original compositional skills, as both of them are also renown composers. They met each other for the first time in Havana, when they were around 18 years old in their aunt’s house. Both studied classical music at the conservatory, so they soon discovered their mutual love for jazz. Secretly they often strayed from their classical repertoire to completely surrender to the freedom of improvisation. After finishing the conservatory they both went their own ways and had their own international careers. Ramón Valle became famous recording over 10 CD’s and is playing internationally on all the big (jazz) stages around the world. Maraca played for years in one of Cuba’s most famous bands “Irakere” with Chucho Valdes and got nominated for a Grammy with one of his own CDs “Tremenda Rumba”. Now, after more than 30 years, these two virtuoso musicians recorded their first album together and will perform in the Hot Jazz series with Ramon’s Trio. This duo CD is all about remaining their family ties and celebrating their love for music. 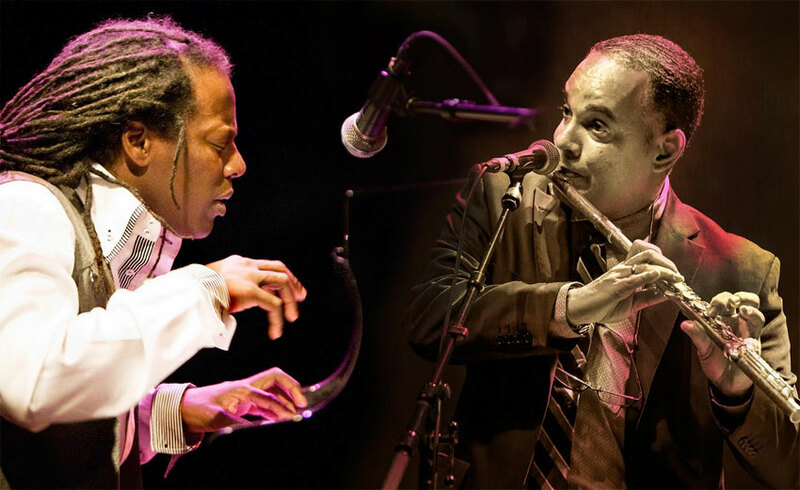 “The Cuban Flute Wizard” with the same mentioned performers and hosted by the Israeli musician, composer and actor Arik Livnat will be held on Saturday June 2nd, 2018, 11:00, at Recanati Auditorium, Tel Aviv Museum of Art. Tickets: 03-5733001, line 1. Suitable for ages 4-10.